Capture screens, regions, windows, menus, shadows and cursors. Just point-and-click. Read Clipt’s Frequently Asked Questions and contact support if you need more information. Why settle for just another screen capture program when you can have the best? 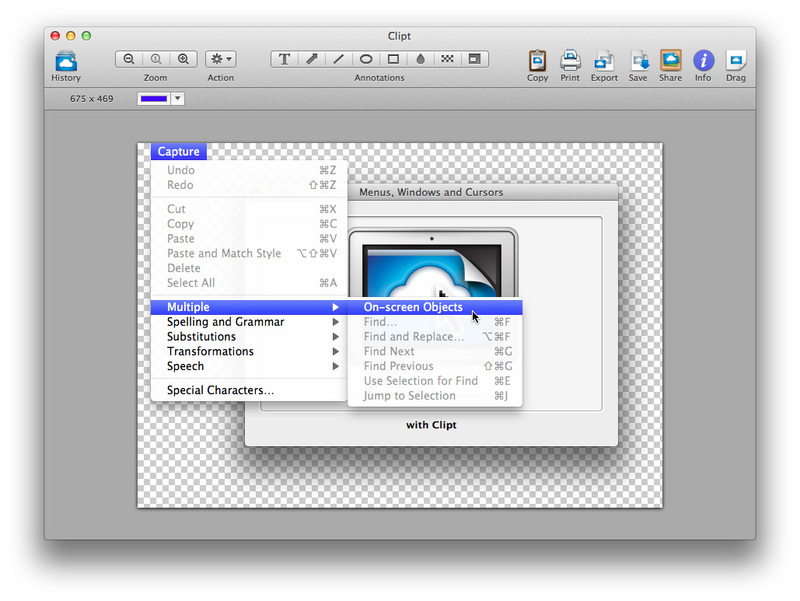 Now with Clipt, you can capture areas, entire screens, even multiple objects with just a few simple clicks. Then print, copy, annotate, drag, organize and share.